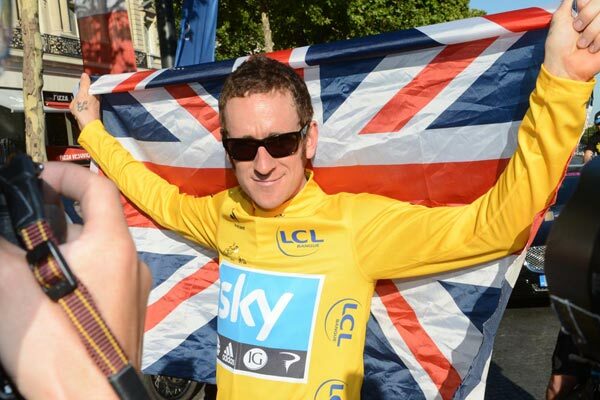 Bradley Wiggins believes missing this year’s Tour de France was the “best thing that could have happened” to him. Wiggins goes into the final weekend of this year’s Tour of Britain poised to become the first Sky rider to win the modern edition of the race. The 33-year-old is also on track to challenge for victory in the World Time Trial Championships in Florence on Wednesday, and he feels that not defending the maillot jaune this summer gave him the motivation to finish this season on a high. “People will take this the wrong way, but missing the Tour was the best thing that could have happened to me,” Wiggins told journalists, including Cycling Weekly, on Tuesday night after winning the national tour’s time trial stage around Knowsley. Wiggins was relaxed and honest during the 25-minute conversation, and admitted that there were a number of reasons why he didn’t turn up to the celebrations marking the Tour’s 100th edition at the end of this year’s race. He said: “I got invited to Paris and I said I don’t want to come. I just didn’t want to be there. I didn’t want to be just this ex-winner who turned up with Indurain and all those other blokes. That’s for 20 years time; I still feel like a current rider. Also included among a number of honest and revealing answers was one in which Wiggins said he feels like he has re-found the motivation that propelled him to such heights last summer. “I was probably too hard on myself earlier in the year, over-ambitious. Even with the problems I had at the Giro, there still wasn’t the commitment from me, especially on the descents. “But in the run-up to this race [the Tour of Britain], it’s the first time since the Olympics that I’ve been hungry for a race to a point where I’ve put everything on the line, and that showed in the Lake District when I crashed at 60km/h and I was straight up, on the spare bike and straight back to the front. Things like that would have ruffled me earlier in the year. “That’s a good sign for me and it’s nice to be back feeling hungry about racing again instead of just going through the motions. I still enjoy training so I can get physically fit, but it’s once you get into the racing where the commitment shows. 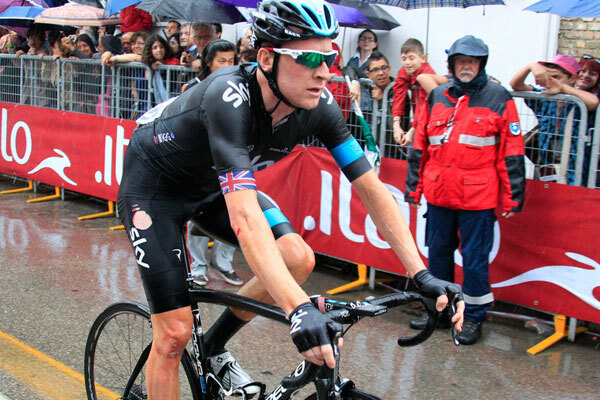 I was in great shape to win the Giro or get on the podium, but there wasn’t the commitment. Wiggins has seemingly reflected on his turbulent Giro d’Italia ride, and said that if he could, he would change his decision that saw him attempt to become the first British winner of the race. “If I could turn back time, I wouldn’t have done the Giro. I’d have had a holiday after the Olympics and then I’d have got back down to training to try and win the Tour again this year,” he admitted. “But before the 2012 Tour, I was never prepared for how much the country was going to be captivated by the Tour and the impact the Olympics would make. After the Olympic time trial, I stepped out of the bubble for the first time into everyone knowing who you are. It was a great time that first week. Then I went home and wanted everything to be normal, and it wasn’t. “It probably took me until the next Tour to really accept what had happened. I tried to bury my head in the sand for a long time: ‘things are going to go on as normal, I am determined to be good again this year.’ I should have just admitted to myself that it was not going to happen. “I didn’t want to say to Dave: ‘I want a year off to be honest’, because I’d just signed a new contract. There is a duty, you have to go out and do your best, but like I say I’ve been here before with disappointment.